New rule should make for an even more competitive awards season. Read full story. New report focuses on the potential of 3D, in-theater advertising, Blu-ray and electronic-delivery. Read full story. Hollywood, CA, (June 14, 2011) Cinedigm Digital Cinema Corp (NASDAQ: CIDM) announced today that Warner Bros. Entertainment Inc. ("WBEI") has entered into an agreement to license Cinedigm's Theatrical Distribution System ("TDS") to serve as the platform for WBEI's application to manage key aspects of WBEI's theatrical distribution to its domestic territories. Application functionality is expected to include release planning, booking, print management, revenue accruals, settlements, payments and reporting. 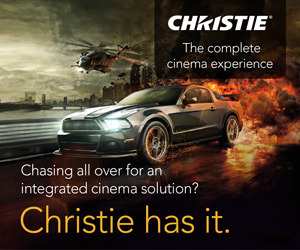 Cinedigm expects that implementation will be completed by fall 2011. Cinedigm's TDS is a powerful accounting and release management solution designed specifically for movie distributors of all sizes. TDS streamlines the workflow associated with movie releases, integrates with all other key internal and vendor systems and manages all related transactions and business data, while providing real-time financial and management reporting.